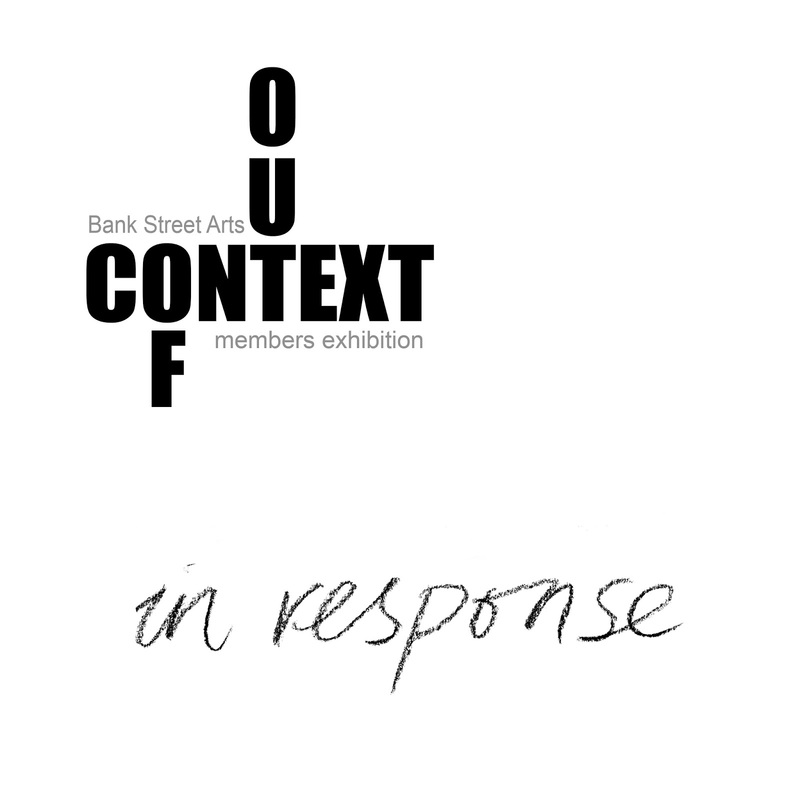 Having curated the BSA members exhibition Out of Context, using the methodology of constraint grown from my art practice. I wanted to extend the idea of context into another form. There had always been an intention to produce a publication to document the exhibition and applying my art practice methods to the job of curating seemed to point a way forward in determining how the publication could be structured. Within this publication I have worked with selected artists, asking each to respond to pre-determined artworks in the exhibition, in a way that reflects an element of their practice. They were restricted to a square format. In this way new artworks have been created which reflect a reaction or a reply, rather than a mere document of the exhibition. 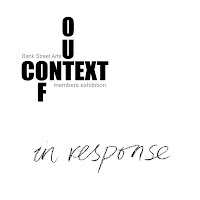 This publication presents a set of artworks created in response to the first members exhibition at Bank Street Arts - Out of Context. Each selected artist has responded to a number of individual artworks. Every artwork in the exhibition has been documented. Responding artists were required to acknowledge and reflect existing artworks in a manner that conformed to an element of their individual practice. Details of the original artworks within the exhibition can be found on the internet – there is a direct link and QR code within the book.